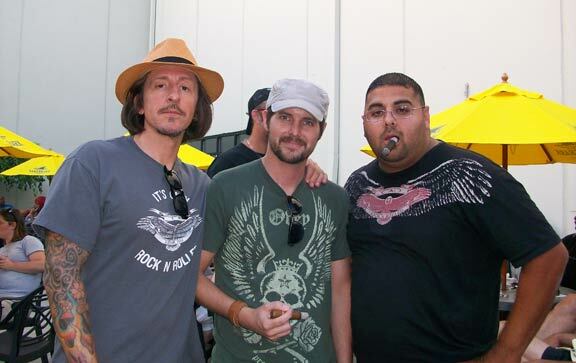 My name is Dan and I am a cigar enthusiast. Now that that’s out of the way, let's get on with it. After years of reading other online review sites and participating in online cigar forums, I thought it time that I make my own. So with the help of my beautiful wife, the Crooked Burn is born. I am not affiliated with any cigar companies and all of my reviews will consist of my opinions only. I, in no way, claim to be an all-knowing expert in the field of cigars and I learn more and more every time I light up, which is part of what I love about this hobby. I hope you enjoy reading my reviews and I look forward to any feedback I may receive - good or bad. In my life outside of cigars, I am a Graphic Designer for The Ohio State University in Columbus, Ohio. So, needless to say, I am a big college football fan and a big Buckeye supporter. My family and I are also big into the tailgate scene and have devoted many hours to perfecting our tailgate and our tailgate vehicle. For more information on that, please visit buckeyesquad.com. 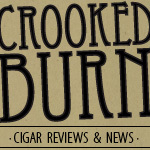 So here it is...the official launch of the Crooked Burn blog. Yay! I can't wait to read more and see lots more photos. So excited!! Congrats brother on the new site! Looking forward to reading some of your reviews.